Clarified butter should be referred to as liquid gold, in my opinion. 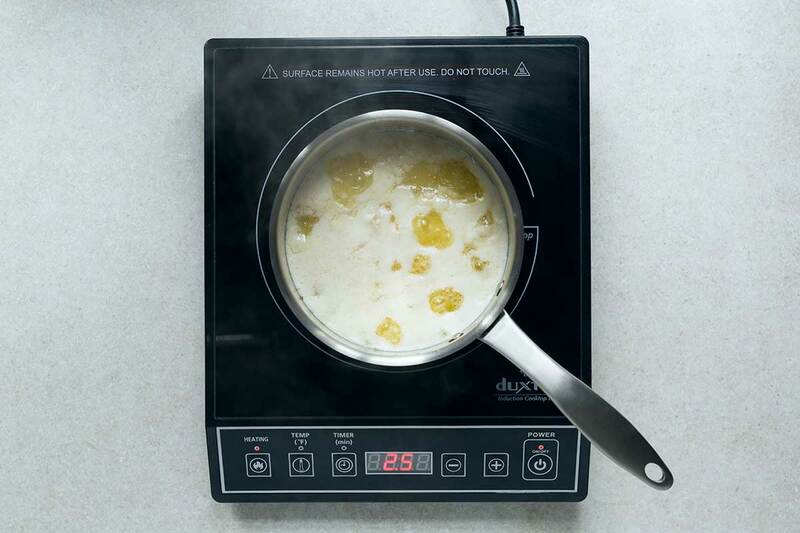 It can be used in place of oil for high heat cooking applications such as searing, sautéing, pan-frying and more. 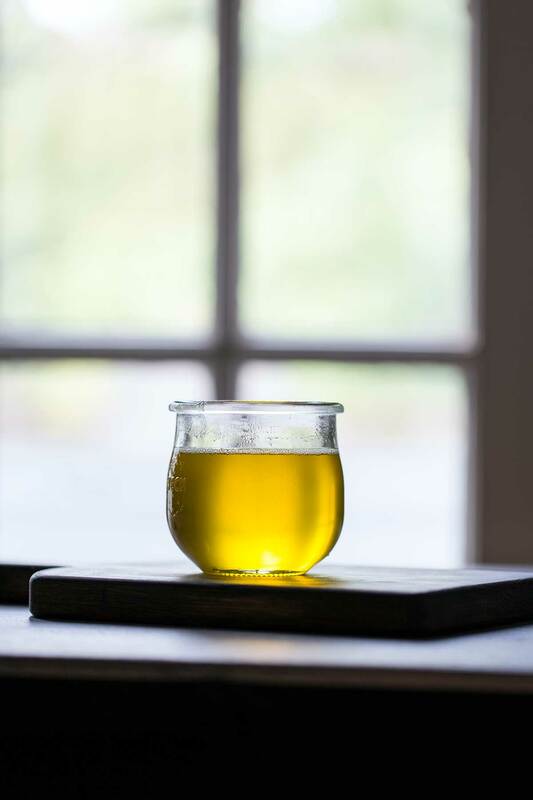 However, unlike most high heat cooking oils, it adds a ton of rich, buttery flavor to recipes. It’s also a tasty dipping sauce for shellfish like lobster and crab legs! 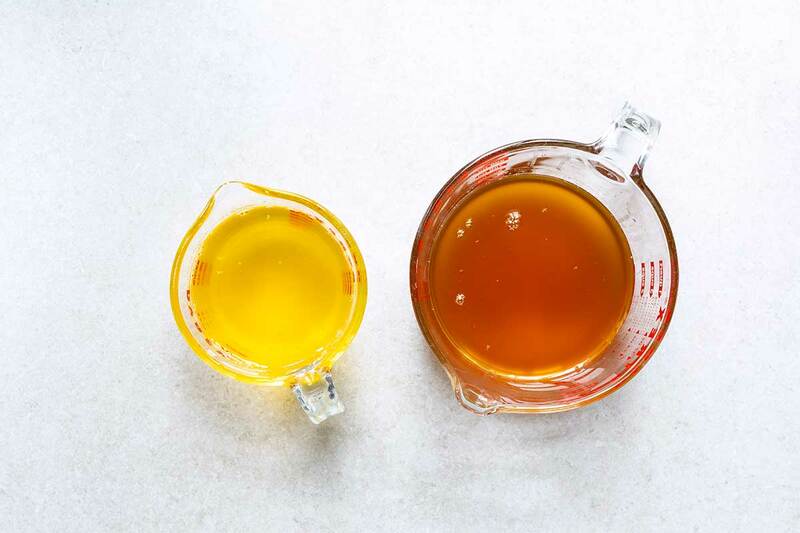 Learn how to make clarified butter in this step-by-step tutorial. I’ll never forget the day in culinary school where we learned how to make clarified butter. I’d never even heard of it, so I was fascinated. This lesson was during the first week of school, possibly the first or second day. As soon as I started cooking with it, I was hooked. 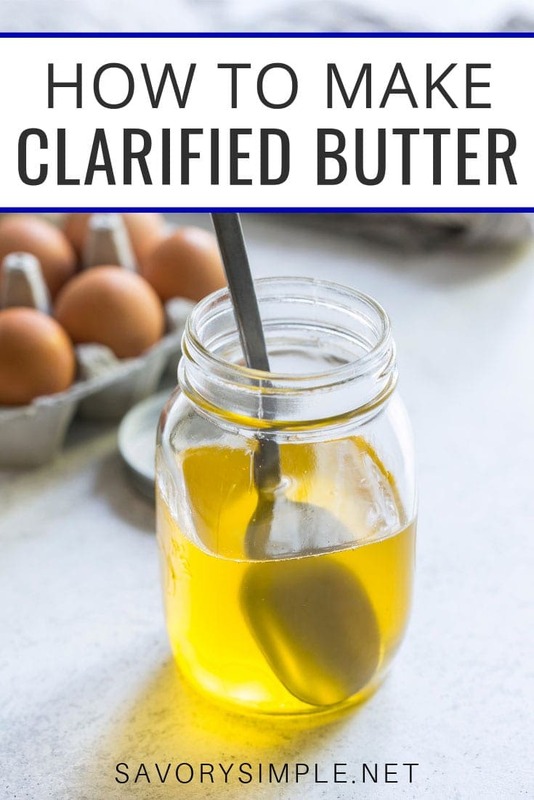 Clarified butter is now my ingredient of choice for high heat cooking, though I don’t often use it in recipes here since I realize many people are unfamiliar with it, as I was. You can purchase clarified butter online and in some stores (Trader Joe’s usually has it). However, it’s much cheaper to make it at home, and only takes a few minutes. This is one of those ingredients that will elevate the flavor of your recipes with no effort on your part. However, before demonstrating how to make clarified butter, I should explain exactly what it is and why it’s such a fantastic ingredient. Clarified butter is unsalted butter that has been simmered to separate and remove the milk solids and water from the butterfat. Once the milk solids and water have been removed, the resulting product has a translucent appearance, a rich flavor, a higher smoke point, and a longer shelf life. This is also the type of butter that’s typically served alongside seafood such as lobster and crab legs. The slightly sweet, nutty flavor makes it a perfect accompaniment, adding fat without masking the flavor of the seafood. 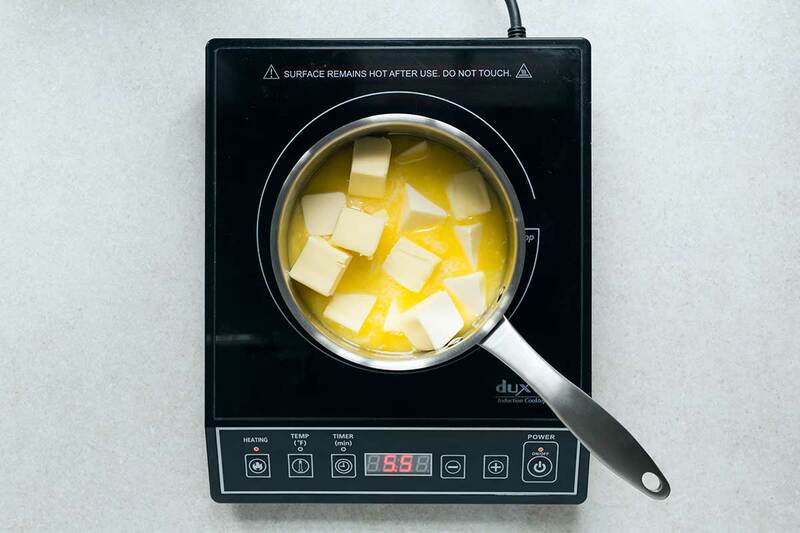 Regular unsalted butter has many uses, but it cannot be used for high-heat cooking because it has a low smoke point (350 degrees F), which means it burns easily. 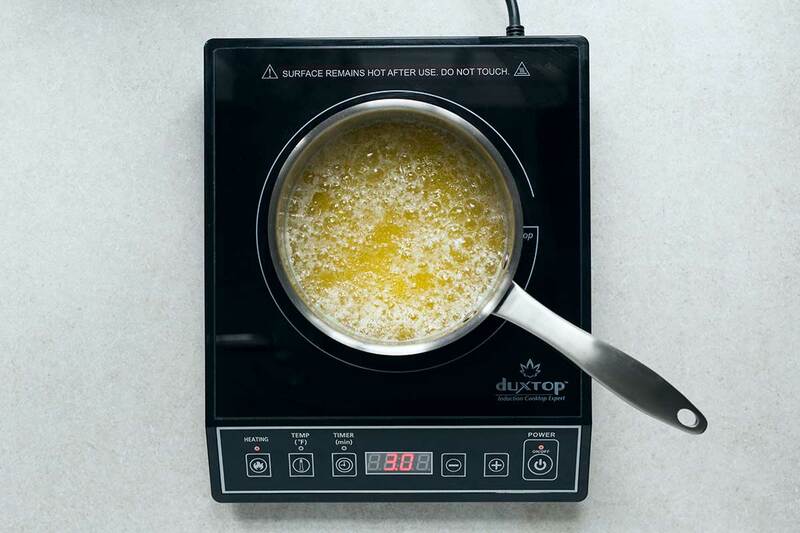 Because clarified butter has a high smoke point (450 degrees F), it’s an ideal choice for high heat cooking methods (for example, searing meat or sautéing vegetables). There are plenty of high heat cooking oils, but none of them have the same buttery flavor. Cooking a steak in clarified butter makes it taste better. Step 1: Place the butter in a medium-sized saucepan, and set the heat to medium. I usually clarify one pound of unsalted butter at a time. It sounds like a lot, but once the water and milk fat is removed and discarded, you’re only left with around 1 1/2 cups. While it’s not essential, I recommend using a European butter such as Kerrygold or Plugra for best results. We used Plugra at school; you can taste the difference. Step 2: Bring the butter to a gentle simmer. Once the butter is melted and simmering, you’ll notice a white foam forming on top. This means the milk solids are starting to separate and rise to the surface. After several minutes, you’ll begin to see and hear a change, which is how you’ll know the clarified butter is almost ready. The simmering bubbles will become larger and make little popping sounds. It might splatter a bit, so be careful. Some tutorials recommend whisking the butter at this point to prevent the solids from sinking to the bottom and burning. You can do this, but it’s not necessary if you keep an eye on it. If some of the solids sink and begin to brown, simply remove the pan from the heat and move on to the next step. Brown bits will add flavor (this is also known as ghee, and can be used the same way as clarified butter). Black bits will taste burned. More on ghee below. When the bubbling slows down to almost nothing and the butter is transparent (you should be able to see the bottom of the pan if you move aside the solids with a ladle), that’s when it’s time to skim the top layer. You can remove the pan from the heat first, or leave it on if the milk solids aren’t browning. Try to remove most of the solids, but it’s ok if you miss some since it will be strained. 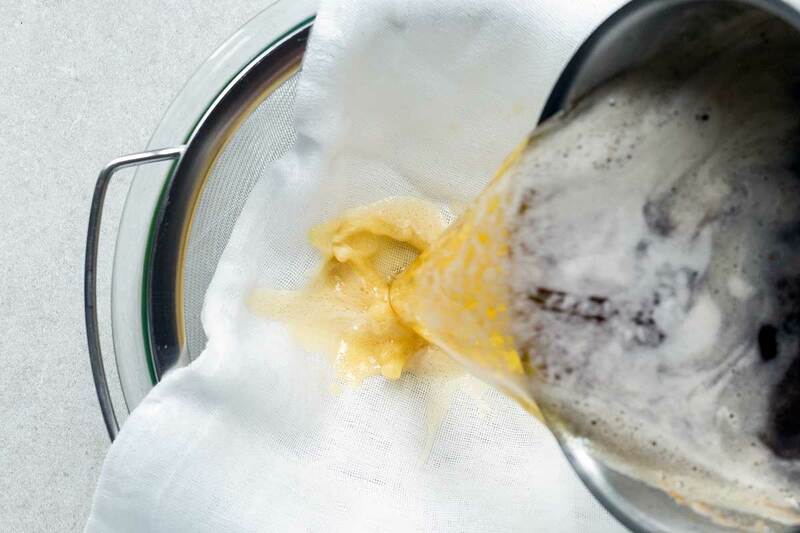 Strain the butter through a fine mesh strainer lined with cheesecloth. This will catch any lingering solids. That’s it! What’s the Difference Between Clarified Butter, Brown Butter and Ghee? Can Clarified Butter Be Kept at Room Temperature? You can technically leave clarified butter out at room temperature indefinitely, but I store mine in the refrigerator to prolong the shelf life for as long as possible. 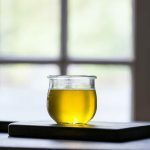 How Long Does Clarified Butter Last? Clarified butter will keep for up to 6 months in the refrigerator. Did you find this tutorial helpful? If so, check out my tutorials on How to Make Whipped Cream, How to Cook Quinoa, and How to Make Buttermilk Substitute! Learn how to make flavorful clarified butter in this tutorial with step-by-step photos! 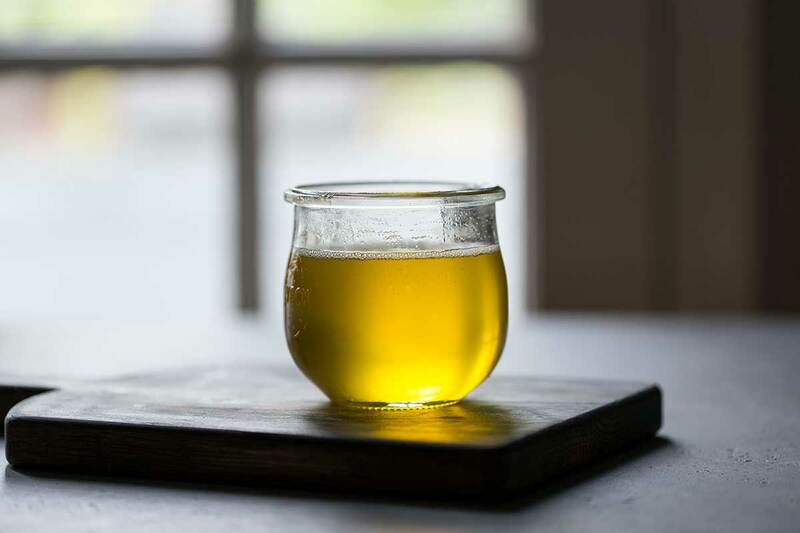 Clarified butter can be used for searing, sautéing, and more. Place the butter in a medium-sized heavy-bottom saucepan, and set the heat to medium. Bring the butter to a gentle simmer. Once the butter is simmering, you'll notice a white foam begin to form on top. This means the milk solids are starting to separate and rise to the surface. After several minutes, you'll begin to see and hear a change, which is how you'll know the clarified butter is almost ready. The simmering bubbles will become larger and make little popping sounds (watch out for hot, splattering butter). When the bubbling slows down to almost nothing and the butter is transparent (you should be able to see the bottom of the pan if you move aside the solids with a ladle), that's when it's time to start skimming the surface. You can remove the pan from the heat first, or leave it on if the milk solids aren't browning. Try to get most of it, but it's ok if you miss some since it will be strained. Finally, strain the butter through a fine mesh strainer lined with 1 or 2 layers of cheesecloth. This will catch any lingering solids. Use immediately, or allow to cool and then transfer to an airtight container. Clarified butter will keep for up to 6 months in the refrigerator. I recommend using a good quality European butter like Plugra or Kerrygold. It's not essential, but you'll be able to taste the difference. 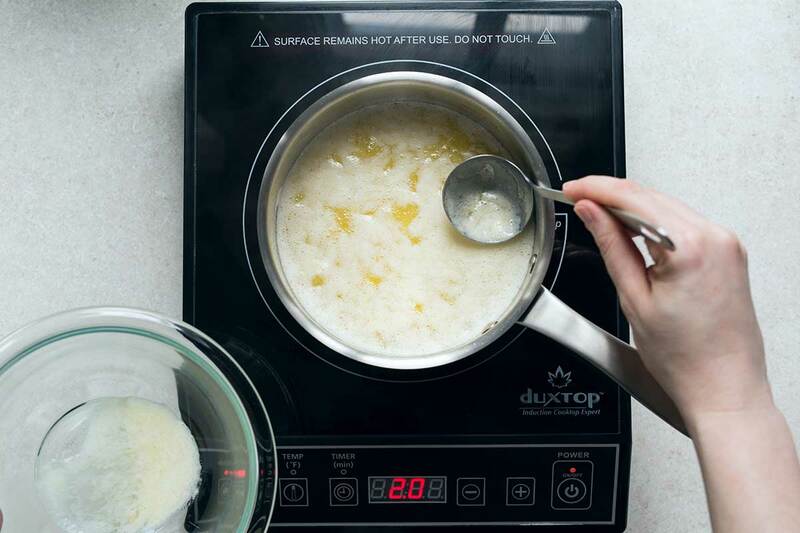 If you want to make ghee, follow the exact same steps, but simmer the butter until some of the milk solids sink to the bottom and brown. The browner the better, but make sure they don't turn black. Yields approximately 1 1/2 cups total. Clarified butter is so good for all the things! Truly liquid gold! I looooove clarified butter. I also love that it’s so easy to make. Never tried Clarified Butter before. So going to make it and apply on some recipes.